One has to wonder what these top GPS manufacturers are thinking by resisting the temptation to enter the iPhone GPS market. It’s true that their business has been affected badly by the emergence of mobile GPS devices, and the hardware sales are not going as well as they used to. But it’s not as if these companies have a lot to lose by giving the software side of the business a look. Navigon is one of those companies that realized early on there was more money to be earned in the software side of things. That’s why it went back to its roots after a fairly short period of time to develop a GPS application for iPhone. Garmin may be still struggling to cope with the fact that Nuvifone will not be its way out, but TomTom has already developed a decent app for iPhone and has added a mount kit to go with it. TomTom doesn’t shy away from charging a hand and leg for its app either, probably making much more money with its iPhone app that it ever did through TomTom’s hardware business. 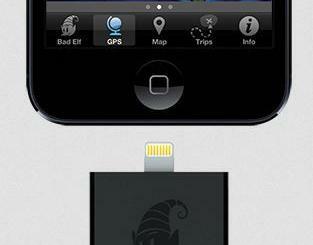 Magellan is the latest company to enter the iPhone app market. The company may be a bit late in the game, but it’s better late than never. Magellan is known for developing affordable GPS units, but it’s margins will be much higher as far as Magellan GPS app is concerned. OneTouch Favorites Menu: lets you manage your bookmarks. Lane Assist: helps you stay in the right lane. 3D Maps: not bad looking at all. Address Book Integration: lets you easily navigate through your contact list through this app. Music Control: the app lets you control your music while this app is open as well. Locate your car: helps you find your way back to your car. Magellan seems to be working on a mount kit for this app as well. So it’s going to be a decent alternative to TomTom and Navigon apps for iPhone. There are a lot of people who prefer Magellan’s algorithm to that of TomTom and Navigon. For those people, this app can be quite a life saver. But even if you have never heard of the company, the app is certainly worth looking at. It’s a bit pricey though.